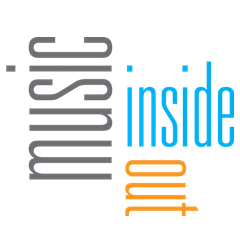 Music Inside Out is a weekly, hour-long radio program that celebrates the music and musicians of Louisiana and explores both their influences and their impact around the world. Host Gwen Thompkins is an enthusiastic believer in great music and you hear that, week after week. Series One presents seven evergreen hours that demonstrate Louisiana's impact on American music. The Zion Harmonizers, Irma Thomas, Allen Toussaint, Sonny Landreth, David Simon (HBO's Treme), Marcia Ball, Shannon Powell — the musicians in Series One are terrific and so is the conversation. Gwen Thompkins is a veteran correspondent and editor for National Public Radio. She was NPR’s East Africa Bureau Chief — based in Nairobi, Kenya — and senior editor of NPR’s Weekend Edition with Scott Simon. Thompkins was born and raised in New Orleans and worked early on as a reporter and editor at the Times-Picayune newspaper. She spent the 2010-2011 academic year as a fellow at the Nieman Foundation for Journalism at Harvard University. Seán Collins lives in Saint Louis, cheers for the Cardinals, and reads on his porch. He also listents to the radio. For seven years he was the Senior Producer of NPR’s All Things Considered and a founding producer of Talk of the Nation. Before that he drank lots of coffee overnight on the staff of Morning Edition, where Bob Edwards showed him the value of short, declarative sentences, something he is not demonstrating in this bio. But the real highlight were the years working with Gwen on the staff of Weekend Edition Saturday. Jason Rhein is a New Orleans-based creative media producer at Elephant Quilt Productions, a recording and post-production studio. Jason gained most of his chops as Technical Director for the nationally syndicated radio show American Routes and as Music Producer for Disney’s Imagination Movers TV series. Jason is a family-man with the two cutest kids on the planet, enjoys playing in bands, and is thrilled to be producing good radio again. Flawn Williams was responsible for much of the 'sound' of NPR programs for three decades. Now he's happy to bring his music and documentary chops to Music Inside Out. South Carolina-born and now Maryland-based, Flawn has also spent thirty-plus summers immersed in many branches of traditional roots music with West Virginia's Augusta Heritage Center, where he coordinates their Vocal Week program and teaches singing classes. 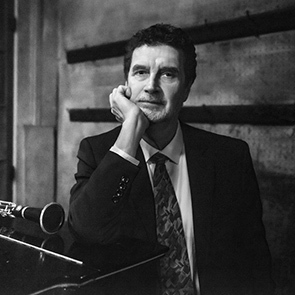 He does concert sound mixing and music recordings from opera to Cajun, teaches recording and radio production at Georgetown University, and has sung backup harmonies on more than a dozen CDs. 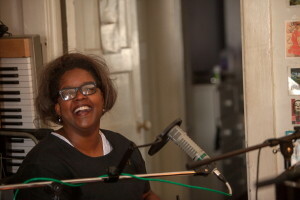 Margaret Howze is an independent radio and music producer for a handful of programs in New Orleans; among them, for the last 10-plus years, American Routes. She spent her younger, carefree years in DC with NPR's Cultural Programs - as producer of the 26-part series Wynton Marsalis: Making the Music; music producer for the weekly live show Anthem; and senior producer for Jazz Profiles. With her husband Nick she is also raising two sons, junior members of the Who-Dat Nation. 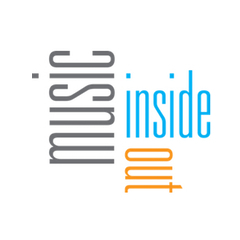 Music Inside Out with Gwen Thompkins is a weekly, one-hour radio broadcast featuring the people of Louisiana who’ve devoted their lives to America’s music. What makes their music so varied and satisfying is the influence of other cultures — an ongoing dialogue with the rest of the United States and the world. 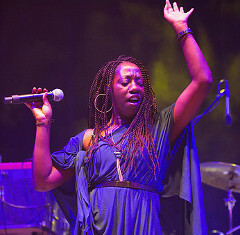 She may have started 20 feet from stardom, but she’s gained a lot of ground in the meantime. 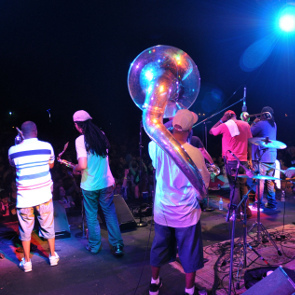 On this program, we talk about brass bands in general and the Rebirth Brass Band in particular. The music is loud and lovable, so turn it up. 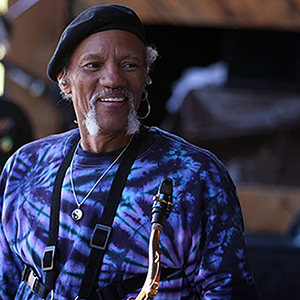 PJ Morton: "It's All Love"
Charles Neville: "Loving Kindness is My Religion"
Luke Spurr Allen: "Squawk and Squawk"